What your comments mean to Our Ancestors? I have some additional information on the family of Amable Benoit dit Livernois and Elisabeth Vasseur dite Bellisle. In addition to Joseph Treffle and Alexander, they had five more children. After Amable’s death, Elisabeth with all of the children except Treffle moved to Hinesburg, Vermont. She married Joseph Gotier, but I don’t know if the marriage took place in Canada or in Vermont. Elisabeth died April 22, 1892 and is buried in Rhode Island Cemetery in Hinesburg. Joseph died in Jericho, Vermont, on January 24, 1895, and is buried with Elizabeth. Other children of Amable and Elizabeth– Julie/Julia, was born in St. Charles sur Richelieu 7 March 1831. She married in Canada before 1850 Carlos Baisner, son of Peter and Margaret (Maynard) Baisner. Carlos had several land transactions with Julia’s brothers Belonia and Francis and with her mother. Julia died 29 October 1906 in Hinesburg. Charles was born in St. Charles 1 June 1832. Charles enlisted in the army on 9 June 1862. He was captured on 2 February 1864 and sent to Andersonville Prison in Georgia where he died in December 1864. His name is on the same stone as his mother and step-father in Rhode Island Cemetery in Hinesburg. Amable/Amos was born in St. Charles on 15 April 1834. Before 1859 he married Emily Shepard, daughter of William and Lucy (Little) Shepard. The couple eventually divorced. Amos moved to Worcester, Massachusetts, around 1890. About the turn of the century he moved to Marlboro, New Hampshire, where he died 28 October 1906. Belonia (Belona, Balonia, etc.–many different spellings) was born in St. Charles 31 July 1838. About 1868 he married Rebecca Phillips, daughter of Solomon and Susan (Sherman) Phillips. In 1870 he and his wife and child were living with his mother and step-father. 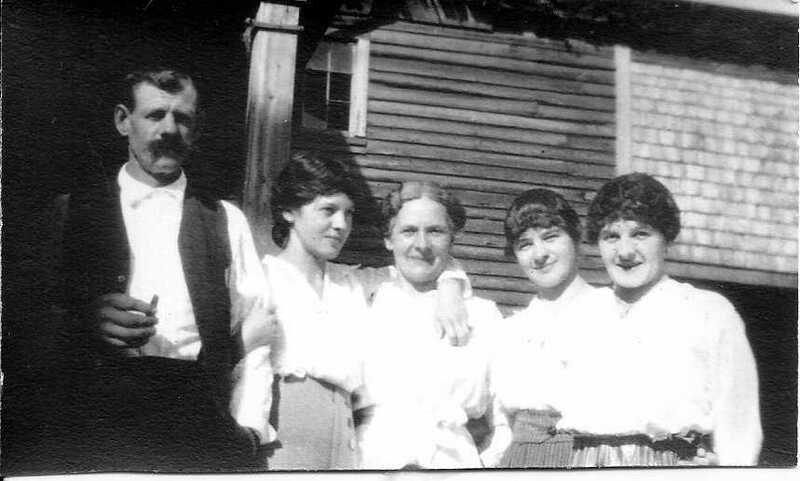 By 1880 the family had moved to Huntington, Vermont, where he lived the rest of his life. He died there 28 September 1916. He is the only child of Amable and Elizabeth for whom I could not find a baptismal record in the St. Charles-sur-Richelieu parish records. His Vermont death record lists his parents as Amos and Elizabeth (Belisle) Benoit. Francois/Francis was born in St. Charles 2 October 1840. About 1866 he married Celinda Ash. The couple later broke up. He lived in Hinesburg and later in Jericho, where he lived with his daughters Irma, who owned a dairy farm, and Ida. Francis died 1 October 1923 in Jericho and is buried in Rhode Island Cemetery in Hinesburg. His name is on the same stone as his mother, step-father, and brother Charles. All of these children, with the exception of Charles, had children. I think I could share it with the whole world like so many people did. This is why last week my family tree on Ancestry has been set on public. Next time on Our Ancestors?